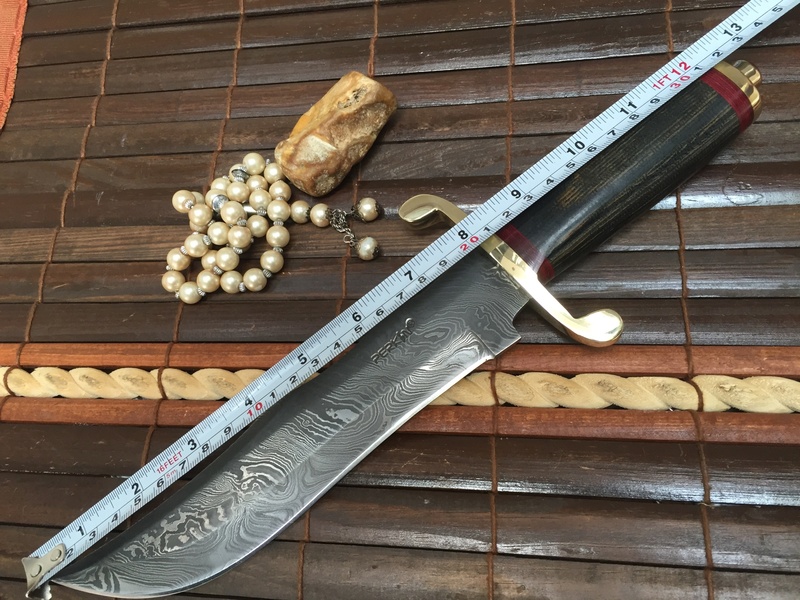 • Over all Length of knife: 12.0 inches, Blade is 8 inches long. Please see all pictures for more details. A hunting knife is more than a utility; it's an extension to your arm when you are out in the wilderness. 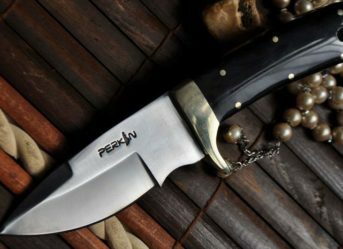 Perkin Knives provides Boker knife that is as stylish as it can be, with a double-edged razor-sharp blade that comes in handy for skinning and stabbing. With an extended quillon, which separates blade from the handle, this knife ensures firm grip when you are trying to work through hard surfaces. Boker knives can be resharpened in field using a suitable diamond-cut sharpening stone. 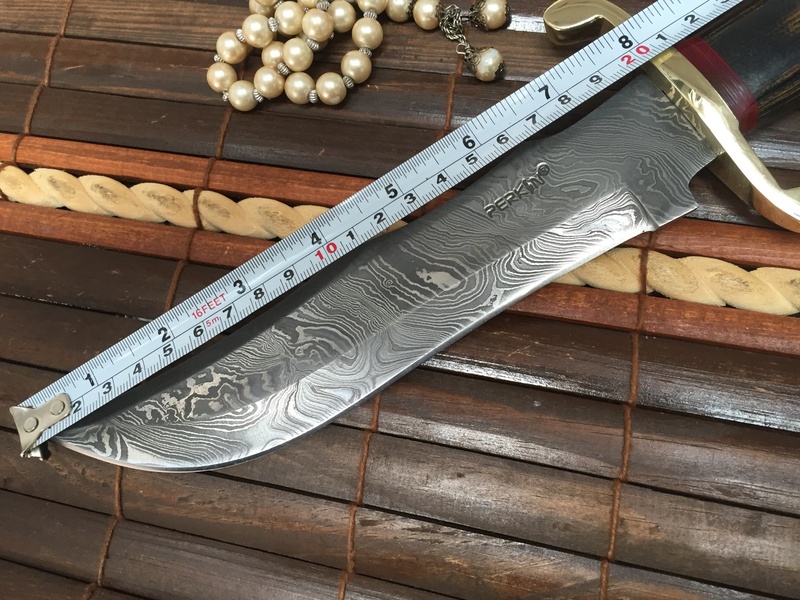 Its genuine steel blade is meticulously forged to ensure precision in design and unmatched strength that continue to serve the owner for years. 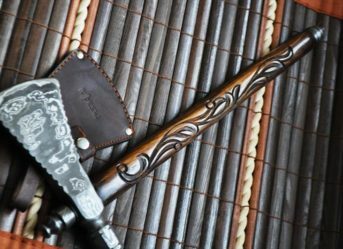 This fixed blade Damascus knife is more robust than your imagination or what you may perceive from its appearance. 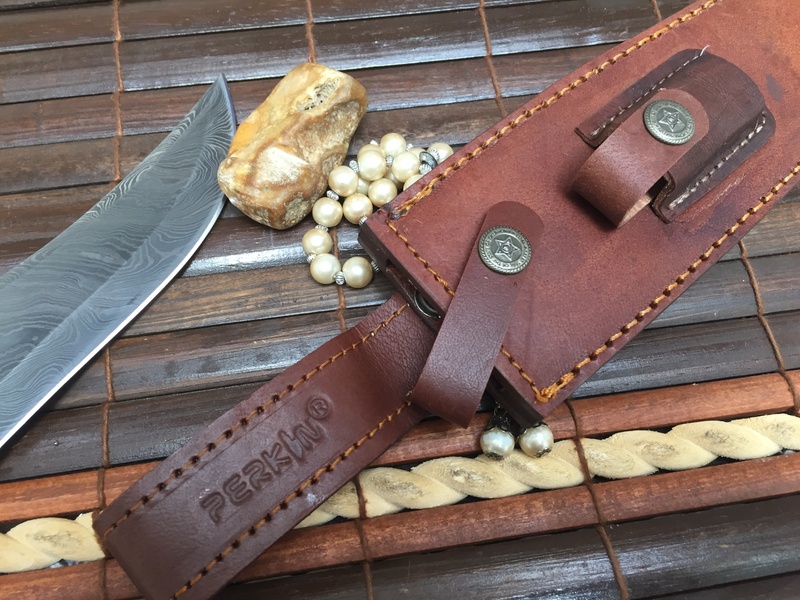 It comes with a leather sheath that keeps the knife in place and prevents unintentional cuts. 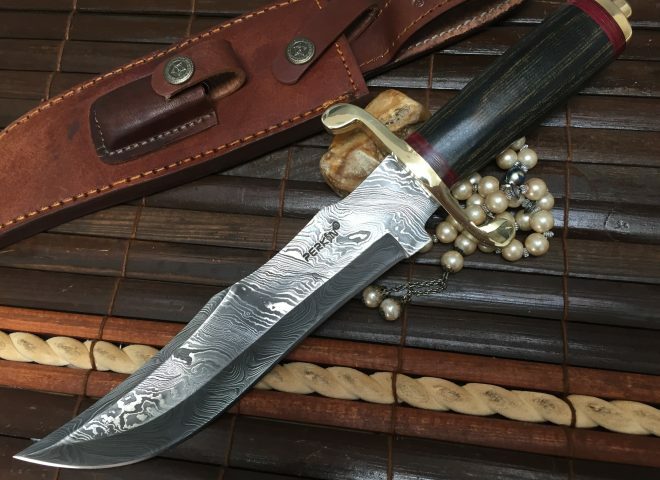 Most customers buy hunting knife without sheath, thinking they would buy it later. 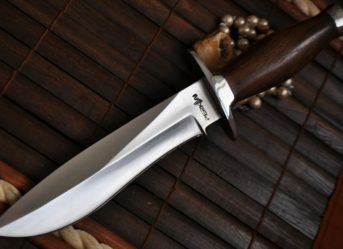 No doubt there are after-market sheaths available for hunter knives, but that would mean fitting square peg into a round hole. Perkin Knives offers Boker knife with a sheath that's designed on the same lines as of the knife; therefore, you don't have to worry about your knife being loosely snug or sneaking out. Perkin Knives offers UK-wide shipping at no additional charges. Shop now! I have around seven Perkin knives. I bought this because it looked like a lot of knife for £100. I was not disappointed. Great feel to it. Nice balance. The handle is well made. It’s substantial and the right size for me which means no grip issues or discomfort with extended use. The blade is, as stated, razor sharp and passes the leg-hair removal test! I’m not sure what ‘double edge’ means. I originally thought the top edge of the blade running back from the point may have been sharpened but that’s not the case. Looking at a few more Perkin knives now. 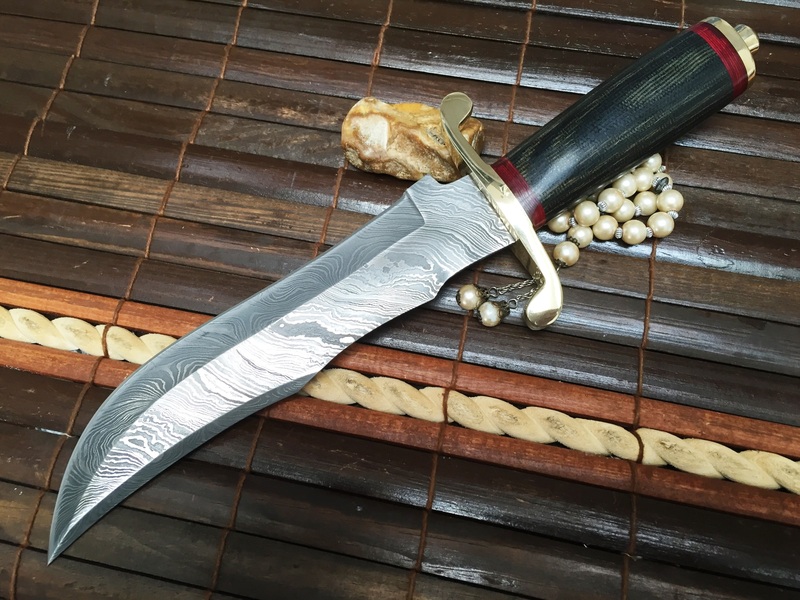 A hunting knife is more than a utility; it’s an extension to your arm when you are out in the wilderness. Perkin Knives provides Boker knife that is as stylish as it can be, with a double-edged razor-sharp blade that comes in handy for skinning and stabbing. With an extended quillon, which separates blade from the handle, this knife ensures firm grip when you are trying to work through hard surfaces. Boker knives can be resharpened in field using a suitable diamond-cut sharpening stone. 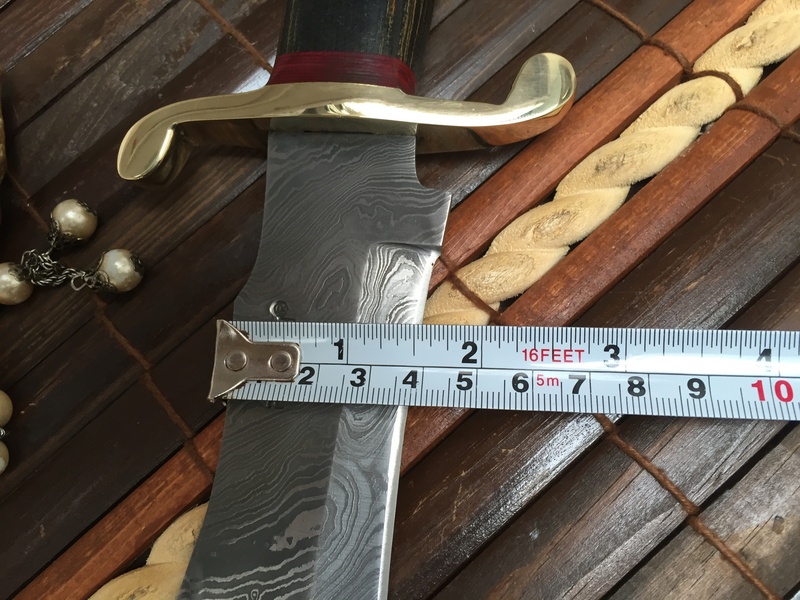 Its genuine steel blade is meticulously forged to ensure precision in design and unmatched strength that continue to serve the owner for years. 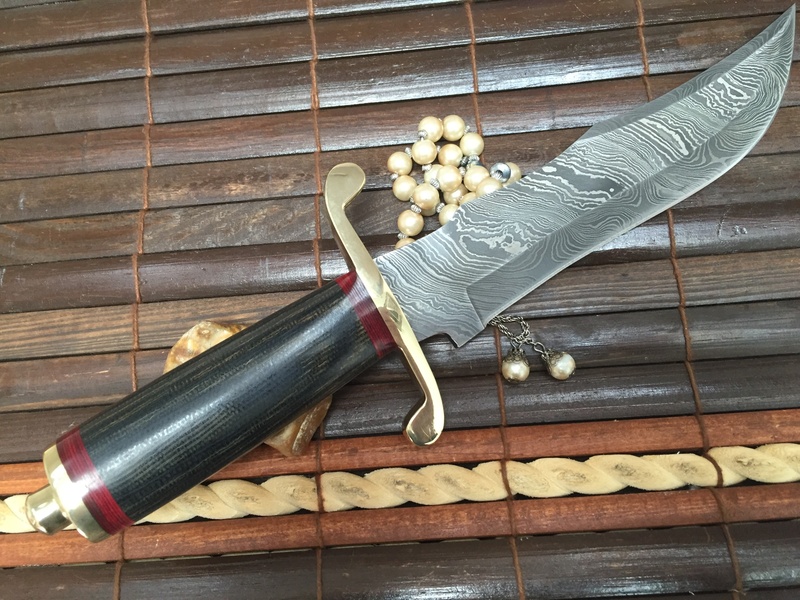 This fixed blade Damascus knife is more robust than your imagination or what you may perceive from its appearance. 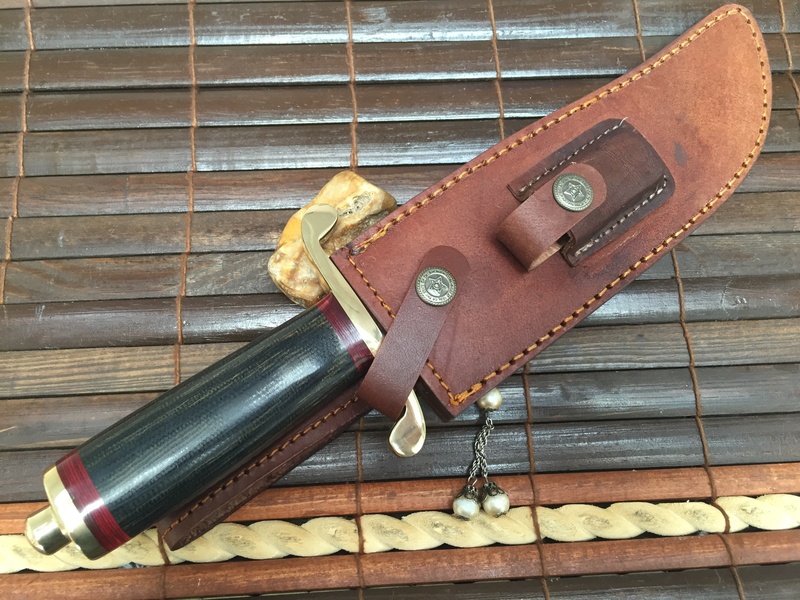 It comes with a leather sheath that keeps the knife in place and prevents unintentional cuts. 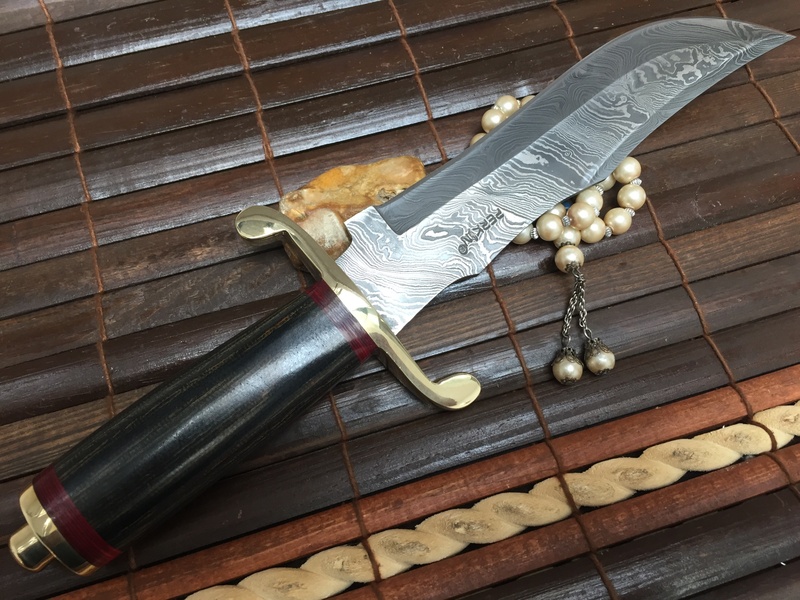 Most customers buy hunting knife without sheath, thinking they would buy it later. No doubt there are after-market sheaths available for hunter knives, but that would mean fitting square peg into a round hole. Perkin Knives offers Boker knife with a sheath that’s designed on the same lines as of the knife; therefore, you don’t have to worry about your knife being loosely snug or sneaking out. 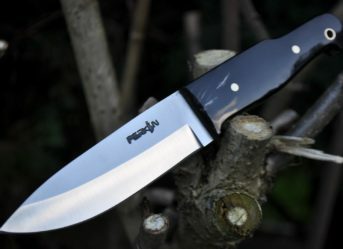 Perkin Knives offers UK-wide shipping at no additional charges. Shop now!